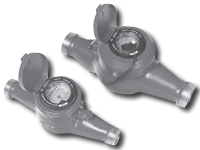 Insertion turbine flowmeters are suitable for measuring electrically conductive water-based liquids. 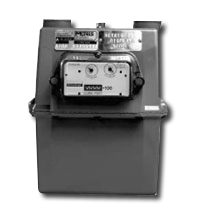 The F-1100 model provides a high-resolution frequency output for connection to a BTU Meter. Every flow meter is wet-calibrated in our flow laboratory against primary volumetric standards directly traceable to NIST. Certification of calibration is included with every meter. Unmatched Price vs. Performance – Custom calibrated, highly accurate instrumentation at very competitive prices. Excellent Long-term Reliability – Patented electronic sensing is resistant to scale and particulate matter. Low mass turbines with engineered jewel bearing systems provide a mechanical system that virtually does not wear. Simplified Hot Tap Insertion Design – Standard on every insertion flow meter. Allows for insertion and removal by hand without system shutdown. 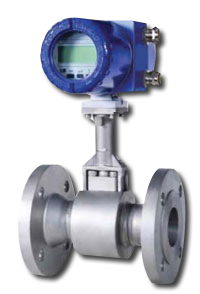 Insertion turbine flowmeters are suitable for measuring electrically conductive water-based liquids. 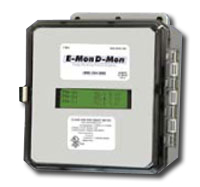 The F-1200 model provides a high-resolution frequency output for connection to a Display or BTU Meter. Unmatched Price vs. Performance – individually calibrated, “Percentage of Reading” accurate instrumentation at very competitive prices. Installation Flexibility – Patented dual turbine models deliver outstanding accuracy in short pipe runs. The F-3500 series insertion electromagnetic flow meters are suitable for measuring electrically conductive liquids in a wide variety of applications. Each F-3500 provides a single analog output for flow rate, a high resolution frequency output to drive peripheral devices, a scalable pulse output for totalization and an empty pipe alarm signal. Optional remote displays and Btu measurement systems are also available. Every flow meter is wet calibrated in a flow laboratory against standards that are directly traceable to NIST. A certificate of calibration accompanies every meter. Exceptional Performance & Value – F-3500 series insertion style electromagnetic flow meters provide a degree of accuracy and reliability normally only found in expensive full bore devices. Excellent Long Term Reliability – insertion style electromagnetic flow meters employ a low maintenance, non-moving parts technology to sense flow. State-of-the-art electronics and patented design features help maintain accuracy over time. Proprietary Design Advantage – F-3500 insertion electromagnetic flow meters utilize patented design features that significantly enhance performance. The dual-electrode design and continuous auto-zero function combine to improve accuracy and sensitivity — particularly at low flow rates. 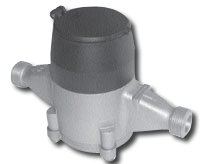 Simplified Hot Tap Insertion Design – Standard on every insertion flow meter, this feature allows for insertion and removal by hand, without a system shutdown. 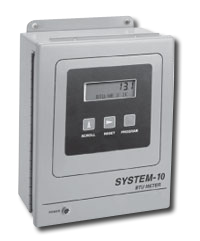 The System-10 BTU Meter provides highly accurate thermal energy measurement in chilled water, hot water and condenser water systems based on signal inputs from two matched temperature sensors (included) and any of insertion or inline flow meters (ordered separately). 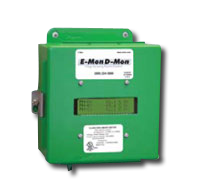 The basic model provides local indication of energy, flow and temperature data through an alphanumeric display. An isolated solid state dry contact is provided for energy total. Optional analog outputs and network communications are also available. 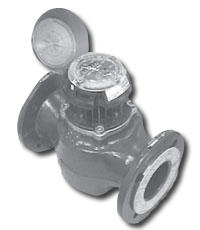 The C700 is an oscillating piston style, positive displacement water meter. The product utilizes a piston that water use rotates in a measuring chamber, each piston revolution being equivalent to a known volume of water. The piston movement is transferred by a magnetic drive to a straight reading sealed register which contains the appropriate reduction gearing. 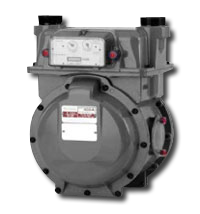 T4000 Turbine Meters are designed for installation where occasional low and moderate to high sustained flows are demanded. Water passes through the meter without a change in flow direction, driving a helix rotor in direct proportion to the quantity of water passing through the meter. Rotor revolutions are transferred to a register by a magnetic drive. 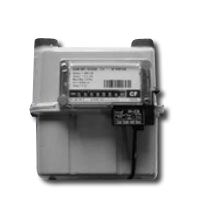 The 200CFGM gas meter is a remarkably small, lightweight meter ideally suited to residential submetering applications. Despite its small size, the meter is incredibly accurate and reliable when measuring either natural or LP gas. 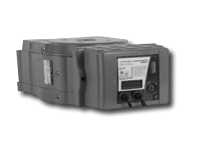 The 200CFGM is classified as a 200 cubic foot per hour (cfh) non-temperature compensated gas meter with cyclometer register. 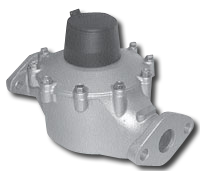 The 250 series is a 4 chamber diaphram type gas meter. Its compact size, light weight, long life, high accuracy and maintenance-free operation make it a perfect choice for retrofit or new applications. 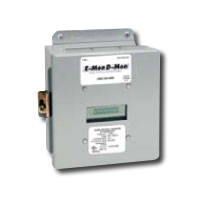 This meter is ideally suited to light commercial or larger residential use. Meters are equipped with pulse output for interfacing with interval data recorders. The 250 is for use with loads ranging from 200 to 250 CuFt/Hr. These meters can accomodate pipe sizes of 3/4” and 1”. The last digits in the model numbers indicate the pipe size. The meter is shipped complete with a connection kit. 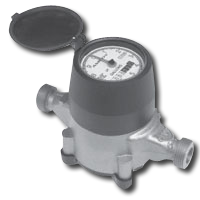 The 400A series meters are positive displacement gas measurement devices for loads up to 400 CuFt/hr. 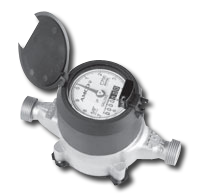 These meters use proven diaphragm meter technology in a three chambered design to provide accurate measurement across their flow range. Long life and low maintenance are assured by the combination of a self-lapping orbital valve and a one piece seamless diaphragm. the only associated maintenance requirement is the built-in battery which has a typical operating life of 8-11 years. 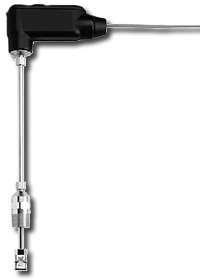 The H130 (formerly 5UM-20) is a single-jet (inferential) impeller meter. The impeller movement is transferred by a magnetic coupling to the hermetically vacuum sealed register. coupling to the vacuumized and hermetically sealed register, which can be turned to any position for easy reading. 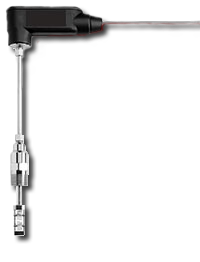 The H4400 is a Woltman vertical impeller (inferential) meter. The impeller, shaft and magnet are the only moving parts in the measuring element. 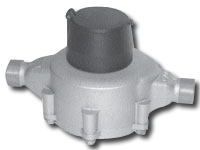 The magnetic coupling transfers the impeller movement to an o-ring sealed register. Direct-read 2 line alpha-numeric LCD display without multiplier displays cumulative kWh and “real-time” kW load. Industrial grade JIC steel enclosure (standard) with padlocking hasp & mounting flanges for indoor installation. Knockouts 1 1/16″ (3/4″ cond.) bottom, 7/8″ (1/2″ cond.) top. Optional NEMA 4X polycarbonate enclosure with padlocking hasp & mounting flanges for inddor/outdoor installation (stand alone) with one 1 1/16″ KO on bottom of enclosure. Direct-read 8-digit LCD display without multiplier displays cumulative kWh and “real-time kW load. Patented 0-2 volt output split-core current sensors promote enhanced safety and accurate remote mounting of current sensors up to 2,000 feet from the meter without power interruption. Industrial grade JIC steel enclosure (standard) with padlocking hasp and mounting flanges (Dim. 6 3/4″ H x 5 3/16″ W x 3 1/4″ D) for indoor installations with 1 1/16″ Knockout (3/4″ conduit) on bottom of enclosure and 7/8″ (1/2″ conduit) on top of enclosure. Optional NEMA 4X polycarbonate enclosure with padlocking hasp & mounting flanges for indoor/outdoor installation (stand alone) with one 1 1/16″ KO on bottom of enclosure. Onboard diagnostics and verification system. Built-in RS-485 communications capability supports up to 52 Class 3200, 3400, 5000 meters and/or IDR interval recorders(or combinations not to exceed 52 devices per channel). 00 Cabling can be either daisy-chain or star configuration, 3-conductor, 18-22 AWG, up to 4,000 feet cable total per channel. 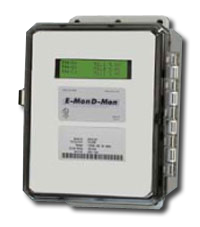 Compatible with E-Mon Energy software via EZ7 protocol for automatic meter reading, billing and profiling of interval energy data. Ethernet communication available when used with Ether-Mon Key. Outdoor NEMA 4X polycarbonate enclosure (standard) with padlocking hasp & mounting flanges for indoor/outdoor installation (stand alone) with one 1 1/16″ KO on bottom of enclosure. Optional Enclosure: Industrial grade JIC steel enclosure with padlocking hasp and mounting flanges for indoor installation (stand alone). Knockouts: 1 1/16″ (3/4″ cond.) on bottom and 7/8″ (1/2″ cond.) on top of enclosure. Built-in RS-485 communications capability supports up to 52 Class 3200, 3400, 5000 meters and/or IDR interval recorders(or combinations not to exceed 52 devices per channel). Cabling can be either daisy-chain or star configuration, 3-conductor, 18-22 AWG, up to 4,000 feet cable total per channel. Built-In RS-485 & Ethernet Communications. Optional telephone modem available. Direct-read two-line LCD display shows kWh, current load, peak Demand in kW and peak date and time. Green Industrial grade JIC steel enclosure (standard) with padlocking hasp and mounting flanges (Dim. 6 3/4″ H x 5 3/16″ W x 3 1/4″ D) for indoor installations with 1 1/16″ Knockout (3/4″ conduit) on bottom of enclosure. Optional gray NEMA 4X polycarbonate enclosure with padlocking hasp & mounting flanges for indoor/outdoor installation (stand alone) with one 1 1/16″ KO on bottom of enclosure. Communications include built-in RS-485 & Ethernet and optional telephone modem. 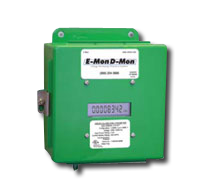 E-Mon offers a variety of steam meters equipped with pulse output to meet your specific application. 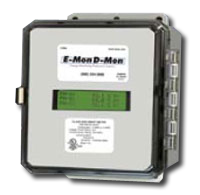 The meters listed below are the most commonly required units, however if your specifications require something different, please feel free to contact E-Mon directly at (800) 334-3666 to specify the appropriate meter.